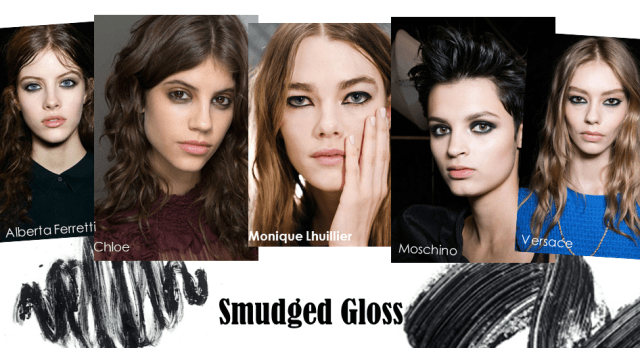 This Autumn Winter, beauty trends are focused on the individual and embracing your own beauty. It’s all about making the most and being proud of what you have. On the Autumn Winter catwalks designers chose not to go with a uniform look but to highlight each model’s features and beauty. Of course Lips got darker and there’s plenty for the party season but it is about choosing what is right for you, now that’s a trend to celebrate in itself. 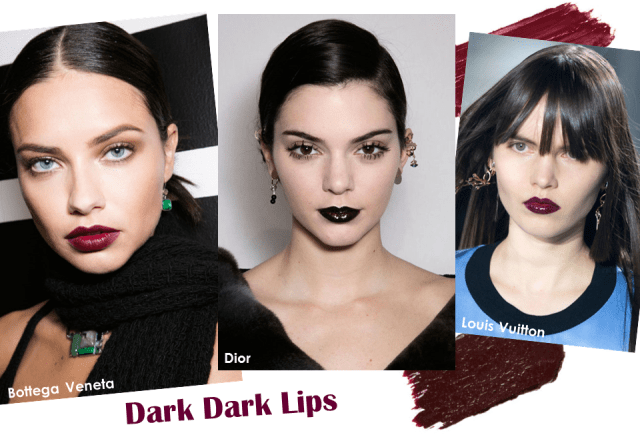 It is not unusual for lip shades to get darker for the colder months but this year lips are almost black with a goth like inspiration. Some designers even used black eye liner as a base or darkened a red lip with black such as Dior and Louis Vuitton. Of course this look is not for everyone so just choose the darkest red for you or a deep plum shade. I know a lot of people are not comfortable with red lips but it is so classic, it’s just about finding the right shade of red for you. So many brands are good at doing darker lip shades I particularly love the offer from Smashbox and NYX. 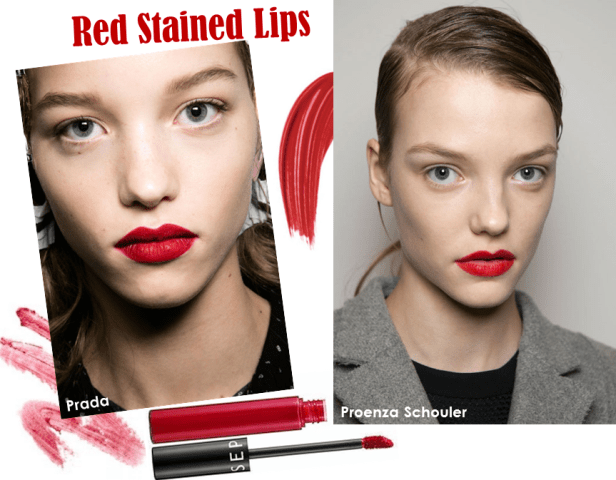 Red lips have a real Autumnal feel about them and designers have been embracing red lips season after season. Dig out your red lipsticks again as the berry tones are back. This time it’s about matte, stained lips a la Prada and Proenza Schouler not neatly lined glossy pouts but worn in stained red lips. I am all about the matte lips and love the Sephora lip stain and Bourjois Rouge Velvet Edition lipsticks. Of course this is my favourite trend of the season! You can never have enough glitter as far as I’m concerned! If everything else is sparkling for the party season why not your makeup? A lot of people shy away from glitter as they think it looks ‘too young’ well the good news is, this look is about grown up glitter. Wearing it in a sophisticated way, weather you choose to have glitter over your whole lid, where a glitter eyeliner or just highlight your features (even if it is your brow bone as seen by xxxx) it is up to you, embrace your individual style. 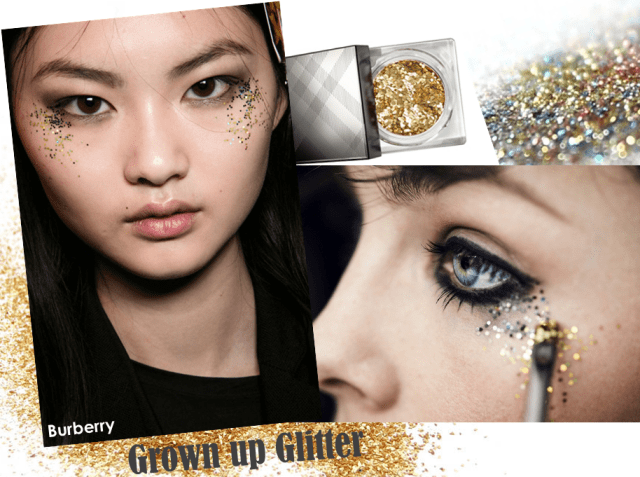 There are also new ways to wear glitter as seen by Burberry, a look I’m very excited to try for my YouTube channel! I remember the days I used to match my eye makeup to certain accessories, circa 2004. My mum used to say a looked like a bird when sporting teal green on my eyelids, I just loved the exact match to my jewellery and clutch bags. 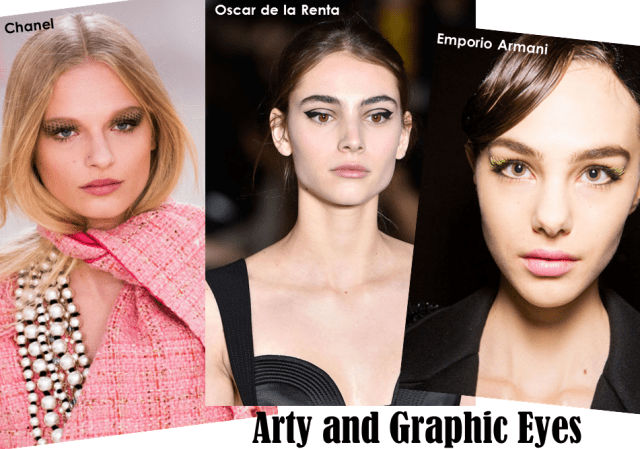 This season graphic eye looks have a new twist, it is about matching your eyeshadow to print on your accessories. I can only imagine that stencils were used to create this look at Chanel! It’s not for everyone but they wear this look well. I love it when a summery trend decides to stick around for winter. 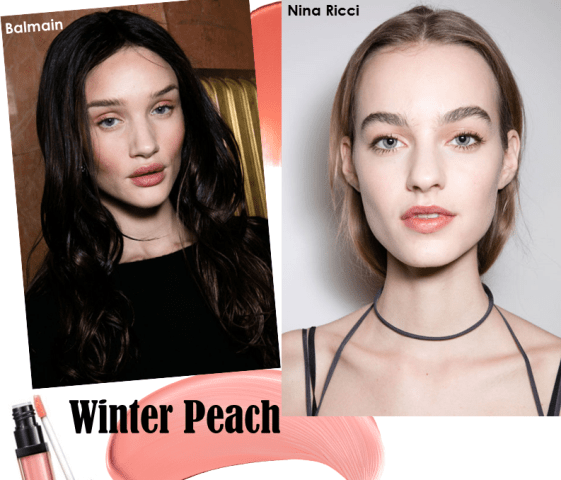 Peachy fresh faced makeup is usually a favourite for poolside makeup but this season Balmain and Nina Ricci had models sporting a hint of summer on the Autumn Winter catwalks. I love the idea of wearing all black everything (my personal favourite ensemble for winter) and warm peach makeup which looks youthful, playful and oozes radiance. I think this is a great daytime look for this season. This is a real London girl look and very iconic for Kate Moss, the greasy or smudged eyeliner. Usually looks like you have slept in your makeup but this season it is more of a polished look and sophisticated, like you actually want your eyeliner to look glossy and smudged. So many designers were loving this look for this season.